The cannabis industry has wised up to the power of lobbying — but it remains to be seen how effectively they’ll spend their green on Capitol Hill. And based on the influx of pro-pot lobbying groups mobbing Capitol Hill, it seems the cannabis industry has finally realized this harsh truth. Now, instead of parading 40-foot joints out in front of the White House, they have stolen a chapter from the book used by the alcohol, tobacco and pharmaceutical trades for years and sent in suits with briefcases full of money, all to try and get federal marijuana bills pushed through as though everyone has wanted them all along. It’s a situation that is destined to determine the course of marijuana legalization at the national level. Right now, there are at least two pot lobby groups in Washington, both with different agendas, trying to get the majority of federal lawmakers on board with some kind of nationally charged cannabis reform. Former House Speaker John Boehner, who spent his entire political career opposing marijuana legalization, is leading the newest band of bud bribers – one called the National Cannabis Roundtable. 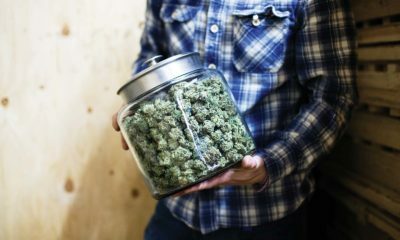 The group, which announced its formation just last week, seems to be geared toward getting the federal government to recognize marijuana for its medicinal capacity rather than simply ending prohibition. The NCR’s plan includes providing veterans with access to medical marijuana, expanding cannabis research, eliminating banking issues and providing states with the freedom to do as they wish with weed free from risk of federal interference. But make no mistake, this group has a go-go ganja affinity for medical marijuana. Boehner, who has been deemed the honorary chairman of this group, has been on the board of directors of medical marijuana firm Acreage Holdings since April 2018 — the same company CBS prevented from airing a commercial during Super Bowl LIII. Another pot lobby known as the Cannabis Trade Federation (CTF) also has soldiers in Washington trying to influence cannabis law. And by influence, we mean they are essentially trying to pay off all the right people to gain Congressional support for legislation that looks after their business interests. It’s a seemingly dirty process, all of this lobbying. Although it is against the rules for companies like Acreage Holdings to directly pay an elected official for their support, there is nothing that prevents them from hiring lobby groups to help generate hefty donations for reelection campaigns. In the end, the lawmaker always knows where the money is coming from. This practice, which is protected under the First Amendment, has been a part of the democratic process since the 18th century. The CTF in particular, a group that recently hired 15 additional lobbyists to further the cannabis cause in 2019, hasn’t really set out to bring the best possible national pot laws into play. Instead, the group is hell-bent on collecting additional support for the Strengthening the Tenth Amendment Through Entrusting States (STATES) Act. You might remember this was the popular pot-related bill of 2018 — introduced by Senators Corey Gardner and Elizabeth Warren — not exactly designed to legalize marijuana at the federal level, but to provide the illusion of prohibition’s end. The Push for Pot — But is it Far Enough? The language of the bill would not eliminate the cannabis plant from the confines of the Controlled Substances Act, nor would it establish a federal excise tax and a scheme for cannabis companies to operate in the same way as the big booze trade has done for decades. Instead, the bill would just put a more permanent version of the late Cole Memo into play, whereby as long as cannabis operations adhered to their respective state laws, the Justice Department couldn’t touch them. This bill is good enough, as far as some are concerned. It’s the easy road, they say, because President Trump has indicated that he would “probably” support it in ink. Incidentally, a banking bill is set to be heard by a House subcommittee later this week. The outcome of this measure could set the tone for how Congress will deal with pot-related issues for the rest of the year. The only real common denominator between the two lobby groups is that they both seem to share a lot of enthusiasm for state’s rights. There is no way of knowing at this point in the game whether the two will join forces in some way to get this reform rolling before the end of the year. It also remains a mystery whether either one will decide to push the recent 420 legislation that was introduced in the House and Senate. These bills would actually legalize the leaf nationwide and set up a taxed and regulated system for which cannabis could be sold in the same way as alcohol. But neither organization has yet to say whether they have the patience to push Congress to this level. The most likely scenario will be for them to gain support for baby-step measures, like marijuana banking and medical marijuana access for veterans. And then, once those laws are on the books, they might move forward in pushing for more comprehensive reforms. TELL US, what kind of laws regarding cannabis would you like to see put in place at a federal level? “As the cannabis industry grows and matures, it’s vital that we work together for a common-sense legal framework for cannabis policy”. That federal law was first enacted in 1937, updated in 1970, and updated again in 2018, but it still doesn’t clearly describe what “marihuana” is. We the People should push back against the lobbyists, and defend our rights to grow and use cannabis plants. These rights were implied in the 9th and 10th Amendments, and ratified by the States, in 1791! The term ‘marijuana’ means all parts of the smoke produced by the combustion of the plant Cannabis sativa L. which is, as are the viable seeds of such plant, prohibited to be grown by or sold by any publicly traded corporation or subsidiary company, and such smoke is prohibited to be inhaled by any child or by any person bearing any firearm, as is the intake of any part or any product of such plant containing more than 0.3% THC by weight unless prescribed to such child by an authorized medical practitioner. By carefully de-scheduling all cannabis plants, this reform will restore banking privileges to those involved in cannabis commerce, thereby encouraging local entrepreneurs who grow cannabis plants to engage in legitimate commerce. It will oblige Big Corporations to outsource their supplies of cannabis from citizens, by contract or in a market, which will facilitate the sharing with local communities of the economic benefits which are created by corporate developed cannabis products. It will also preclude Big Corporations from enticing children to use cannabis to “smoke marijuana”.